When I recently visited the new outlet of Punjab Grill in Whitefield, I kept my expectations at bay. The Orion Mall outlet was good but not great. I only had vegetarian food when I visited the Orion outlet, and I loved the dahi kebab and drinks. However, the non-vegetarian I tried at this outlet made me change my views about this chain as every dish was so good. I started off with a refreshing Pineapple & Tender Coconut Mojito which was an interesting take on pina colada. The tender coconut replaced the coconut milk cream in this drink, and the added fizz (of the mojito) made it a must-try. While we waited for our array of appetisers, we were presented with a Papad Sampler Platter in which assorted crunchy papads were served with a delicious variety of tamarind, mint, and tomato chutney. The Raunaqeen Seekhan was a melt-in-the-mouth chicken version. It was perfectly seasoned and cooked to perfection. Oh, and the mild smearing of the sauce on top was a great idea, and it elevated the whole experience. Literally falling off the bone, the Ghee Roast Mutton was well-roasted and finished off in a tandoor. The Murgh Ki Chaampein was well-presented, beautifully marinated chunks of chicken that tasted YUM. Of course, we ordered the Dahi Kebabs; it is my favourite from the other outlet as well. The dahi kebabs served at this restaurant are the most well-made dahi kebabs in the city, however, they can tone down the overpowering flavour of elaichi. 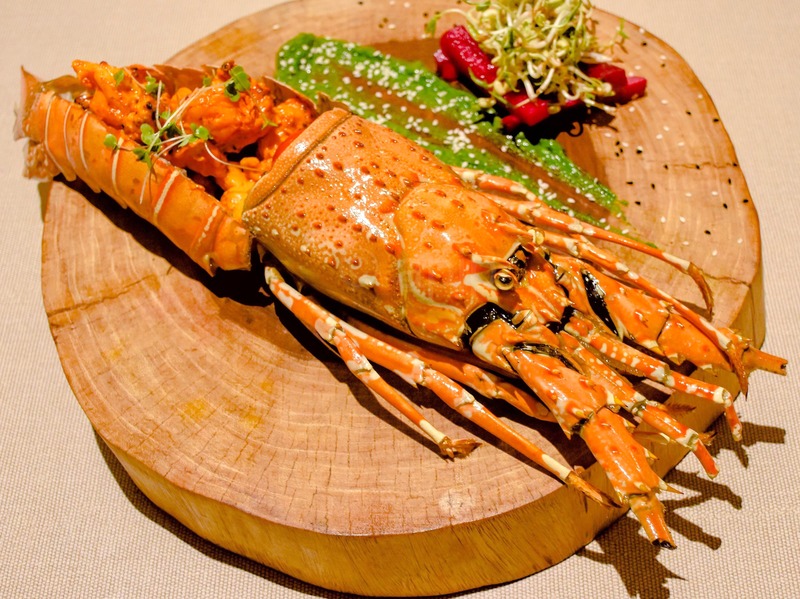 And the star of the show, Tandoori Lobster stole all our hearts. The presentation was excellent, and the freshness of the produce was only enhanced by the tandoori style of cooking. This sumptuous dish is a must-have. For mains, we had the multigrain roti, garlic naan, paneer kulcha with dal makhani, paneer labadar, and butter chicken. Everything was delicious. A mutton biryani as delectable as the one served was not something that I had expected at a Punjabi restaurant. It was a delightful bowl of goodness. For desserts, we ordered Deconstructed Falooda, which was a well-executed dessert. The Litchi Ki Tehri could have been a little better with the litchi infusion (it was super mild). Their Aam Ras Rabdi was toothsome. Overall, it was a great dining experience that was well-curated and executed to perfection. This restaurant makes for a great place to have a delicious meal with friends, family, and colleaagues.